When will be Chris Webber's Full Court Pranks next episode air date? Is Chris Webber's Full Court Pranks renewed or cancelled? Where to countdown Chris Webber's Full Court Pranks air dates? Is Chris Webber's Full Court Pranks worth watching? Chris Webber's Full Court Pranks is a new hidden-camera series that features some of the nation's biggest athletes and sports celebrities playing elaborate -- but good-natured -- pranks on their most adoring fans. This ultimate fan experience gets the fans out of the stands and into hilariously awkward situations in the only show that lets everyday people get up close, personal and extremely uncomfortable with some of the biggest sports stars and celebrities in the world! Hosted by Webber, the series' first season will welcome special guests Rick Fox, Hope Solo, Nick Swisher, Candace Parker and more. Super Bowl Champ Shane Ray uses some sick moves at a hospital; Olympic Gold Medalist Summer Sanders wants to help a fan make a big splash. Josh Norman goes under cover again to talk about how much he hates Josh Norman; one fan gets a wild ride with BMX legend Connor Fields. A pair of NASCAR enthusiasts get driven crazy when superstar driver Kyle Larsen surprises them with the ride of a lifetime; skating legend Tara Lipinski recruits her biggest fan to be a whistle blower. Chris Webber's Full Court Pranks next episode air date provides TVMaze for you. 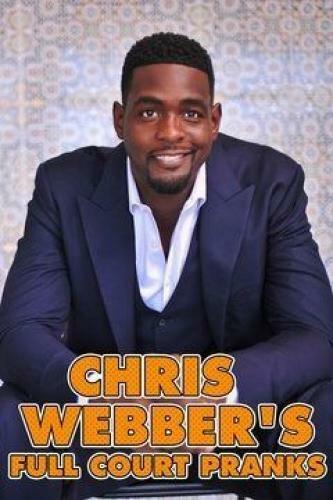 EpisoDate.com is your TV show guide to Countdown Chris Webber's Full Court Pranks Episode Air Dates and to stay in touch with Chris Webber's Full Court Pranks next episode Air Date and your others favorite TV Shows. Add the shows you like to a "Watchlist" and let the site take it from there.